Registration is now open for the 8th Yorkshire & Humber Digital Health & Wellbeing Ecosystem meeting, which will be held at Doncaster Football Club's Keepmoat Stadium on Wednesday 29th November from 8.30am to 4pm. Ourtheme will be "Urgent and Emergency Admissions: The Digital Interface and the Challenge for Regional Services." 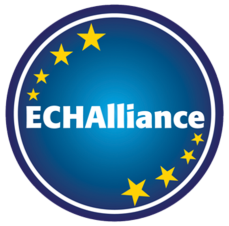 This eighth meeting is being held in partnership with the ECHAlliance. We welcome attendance from Yorkshire & Humber health and social care commissioners and providers, digital citizens, local authorities, commercial organisations and voluntary and community sector organisations. Places do fill up fast so please register as soon as you are able to.